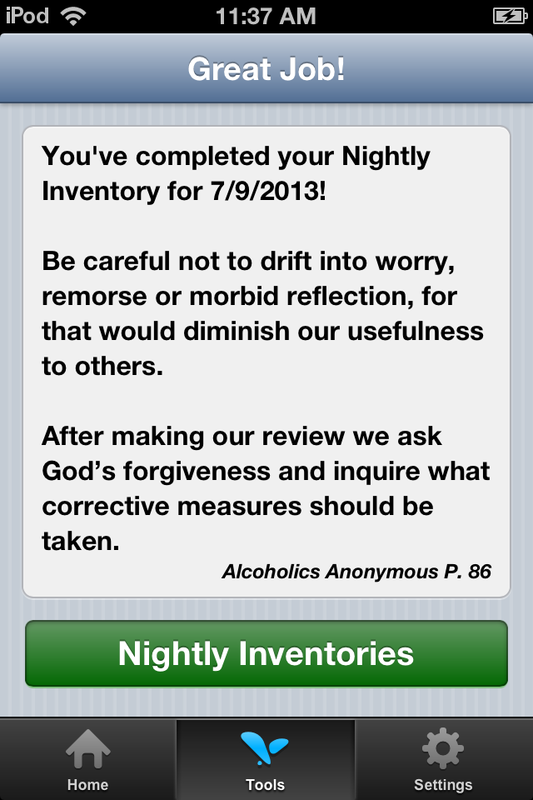 My Spiritual Toolkit now includes a Nightly Inventory Tool. 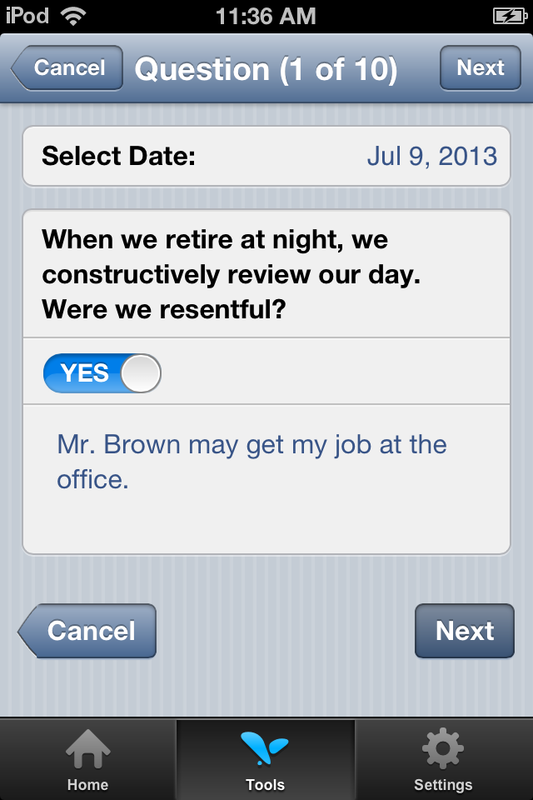 This will enable users to practice their 11th step and review pg. 85 of the A.A. Big Book while on the go. 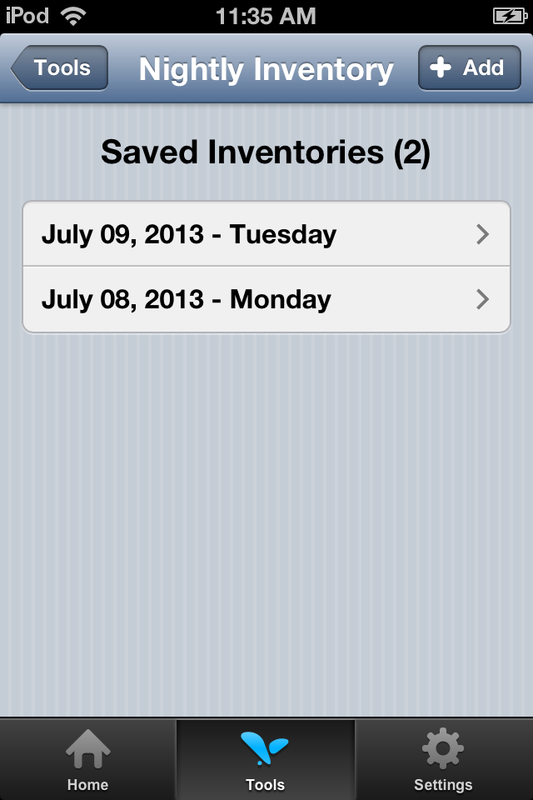 Next, you can review your previous saved inventories or select “Add” to start a new entry. 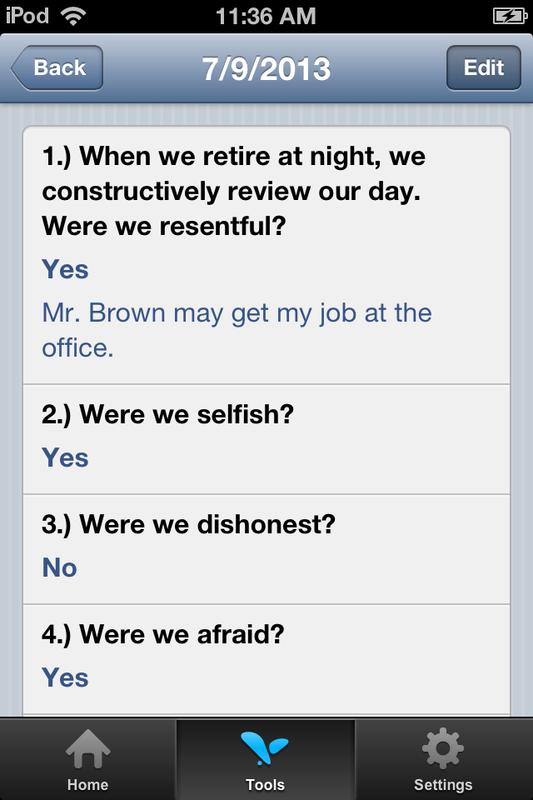 Were we resentful, selfish, dishonest or afraid? Do we owe an apology? Have we kept some­ thing to ourselves which should be discussed with another person at once? Were we kind and loving toward all? Were we thinking of ourselves most of the time? Or were we thinking of what we could do for others, of what we could pack into the stream of life? 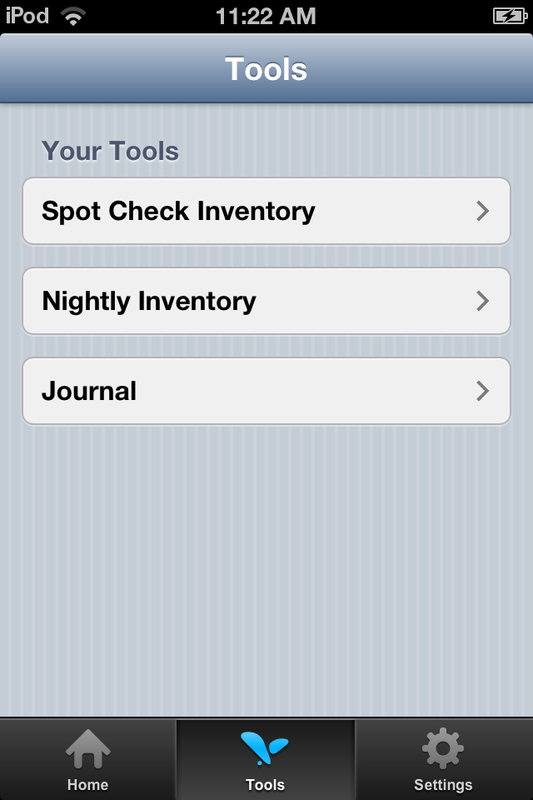 This easy to use feature will help you keep track of your daily 10 & 11 step inventories with convience and security. Awesome! Glad it helps! Yes Progress not Perfection is one of my favorite lines from the big book! I feel blessed today. Very grateful for my sobriety. Is this APP only available on IPhone ? Please make this app available for Windows mobile devices. How do I delete an inventory?